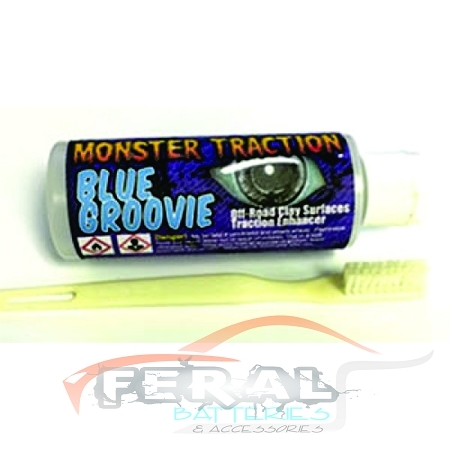 Blue Groovie is the best tire conditioner and traction formula you will find for off-road rubber tires on clay and clay blue grooved tracks. Conditions the rubber and increases grip. Comes packaged in 4 OZ. drip top bottle for easy in applying to tires and comes with a brush to work the traction into the tire.